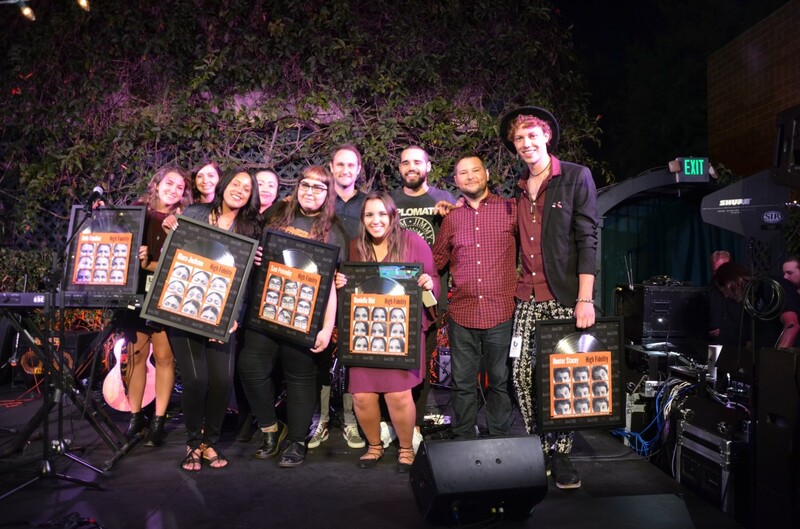 Senior music business major Sam Polonsky recently received an award from Universal Music Group that recognized her as one of their top five college representatives. Polonsky was chosen from a team of 75 members for her impressive work within her role as a College & Lifestyle Marketing Representative. Each of the five distinguished representatives received a thematic plaque for their contributions. Polonsky has been working for Universal Music Group since May 2015 and is responsible for spreading the word about new releases, recapping and promoting shows in her market and bringing artists and other opportunities to Belmont’s campus. She was involved with Belmont’s hosting of singer and songwriter Skylar Grey as well as the campus viewing of the new Beatles documentary.